Contrary to popular belief the video that you capture using screen recording will not necessarily be exactly the same as what you see on your screen. Because of the nature of screen recording, people often forget the fact that there are other factors that determine video quality, and how it turns out. If you want to capture screen recording videos that have excellent quality, you need to take these factors into account – which isn’t that difficult if you know what to look at. Screen recording doesn’t really require much in terms of actual preparation for the recording – but the one step that you should take is to close any apps or background processes that you don’t need. The main reason why this is a good move is that it will free up system resources and make them available when the recording begins. Considering screen recording can be take up a decent chunk of processing power and RAM, it could impact your system’s performance while the recording is ongoing. Overall your goal should be to make sure your computer doesn’t start to slow down and act sluggish during the recording – otherwise that will be captured in the video, which is the last thing that you want. The main factors that will affect the quality of your screen recording videos are the recording parameters that you use, namely the resolution and frame rate. Increasing both will improve the quality of your video, albeit in different ways. By recording in a higher resolution your video will have a better definition, and it will look sharper. However the resolution of screen recording videos is the resolution of the frame that is recorded, so you’ll be limited in that regard. The highest resolution that you can record at will be when you record in full screen – in which case it will be the resolution of your display. On the other hand, the frame rate will affect how smooth and fluid the video appears – especially when movement is taking place. Generally, LCD monitors have a 60Hz refresh rate, meaning they display at 60 frames per second. If you want your video to more closely resemble what you see on-screen, you should set the frame rate of the recording to 60 as well. Keep in mind that increasing the resolution and frame rate will require more processing power while recording, and the file size of the video will be larger. Last but not least when you encode the video it is important that you make sure the settings don’t adversely affect its quality. As a rule, it is best to encode videos using the same resolution and frame rate that they were recorded in. Aside from that, the video bitrate should be determined based on the format as well as the resolution and frame rate. If the bitrate isn’t high enough various compression artifacts will appear in the video that will affect its quality. If you’re encoding your video in MP4 with H.264 a good yardstick to use for the bitrate are YouTube’s guidelines. However for other formats, the required bitrates will differ, and for example, H.265 may require a 50% lower bitrate. 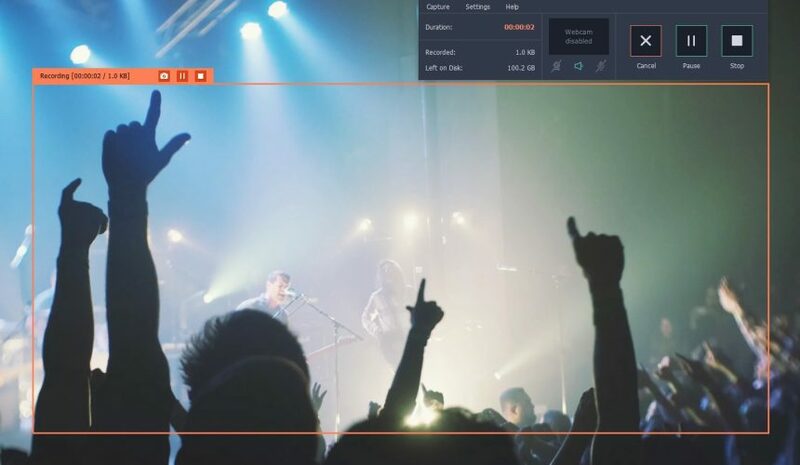 Regardless of whether you record streaming video, how-to guides, or any other footage from your screen – the steps to improve the video quality remain the same. That is why you need a screen recorder that lets you adjust the recording parameters, and for example, Movavi Screen Recorder would be a good option. It should be noted that in some cases there may be other factors that affect the video quality. For example, if you record video calls then the quality of the video captured by the webcam (on both ends of the call) will be a factor. Similarly if recording video games, the in-game graphics may play a part as well. Still, in the majority of cases, you should now know what you need to and be able to significantly improve the quality of your screen recording videos. Be sure to give it a try – and see the difference it makes for yourself. This article is too good and It has more informative content, I really like it.